Cu Chi, which is located at Cu Chi District nearly 70km far from central of Ho Chi Minh city, is a very famous war heritage in the South of Vietnam. Cu Chi Tunnel played an important role in the victory of Vietnam communist government over the America and South Vietnamese army in the past. The Tunnels consist of more than 200km of underground tunnels and three levels deep. This tunnel system has many branches connecting to underground hideouts, shelters, and entrances to other tunnels. The tunnels are between 0.5 to 1m wide, just enough space for a person to walk along by bending or dragging. However, parts of the tunnels have been modified to accommodate visitors .Cu Chi is an pro-communist area, known as the base where the North Vietnamese army used to organize the 1968 Tet Offensive. The area was heavily bombarded by American,it was declared a "free fire zone" by America which means that artillery fire fell on it at night, and that bomber pilots were encouraged to drop unused explosives and napalm on the area before returning to base. In essence, anything that moved was considered a target and blown away. The Vietnamese querrillas and Cu Chi local used the tunnel as the hiding spot as well as serving as communication and supply routes, food and weapon caches so the tunnels network provided sleeping quarters, meeting rooms, hospitals, and other social rooms. The upper soil layer is between 3 to 4m thick and can support the weight of a 50-ton tank and the damage of light cannons and bombs. But the tunnel networks were dug, before the American War, in the late 1940s, as a peasant-army response to a more mobile and ruthless French occupation. The plan was simple: take the resistance briefly to the enemy and then, literally, vanish. The tunnels were really expanded in the American war as a large base of Vietnamese querrillas surround Saigon. Cu Chi is not so far from the central of Ho Chi Minh city quite easy to reach by bus in one day .Today the remaining tunnels have become a major tourist attraction giving the visitors a unique experience of what underground life in the American war was like. 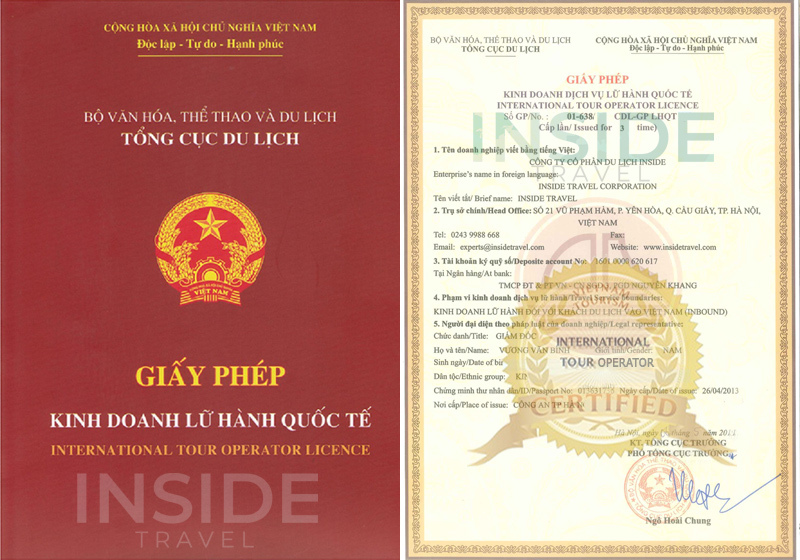 · Discovering the hidden treasures of Vietnam from the North to the South by visiting attracted tourist destinations: Hanoi capital, Sapa town, Ha Long Bay, Hue citadel, ancient Hoi An city, lands of Cham people in the past, the amazing Mekong Delta, etc. · Joining in the daily life of local people on each sites and understand their culture. · Opportunity to learn how to make the handicraft products, such as ceramic products. · Getting more knowledge about customs of ethnic people, social and the religious in Vietnam. 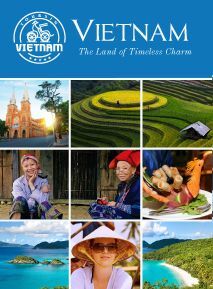 · Knowing more about the long golden history of Vietnam by visiting the old capital of Vietnam under Dinh Dynasty, World Cultural Heritage Citadel of Ho Dynasty, lands of Cham Kingdom, places use for protect people life under the war.